Just participated in the Witch Hunt room and we won! Had a great time and the clues ranged from simple to intricate and everyone in our group did a great job figuring them out. Definitely want to come back again! You’re a constable for the sheriff of Salem. A young woman is set for execution in an hour for practicing witchcraft. Her husband demands substantial evidence before her life is taken. Will you be able to find it in time? This experience includes herbs and cooking items such as thyme, cinnamon, rosemary, sage, dill, and flour. If you or a member of your group are allergic to any of these items, you should not participate in Witch Hunt. 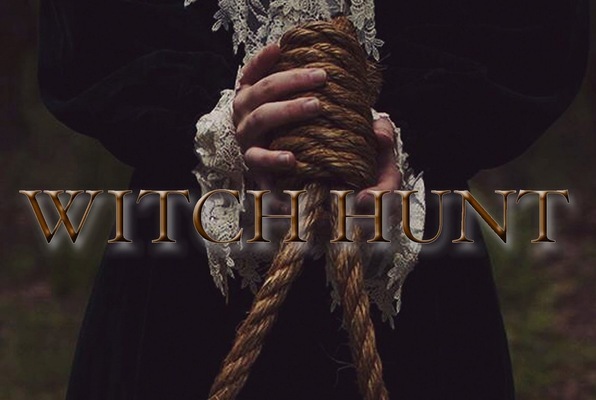 Reviews of escape game "Witch Hunt"
Just returned from Witch Hunt in Morristown. Loved it! I was with my wife and friends. We were paired with another group of people and had the best time. We killed it! Solved the puzzle with 14 minutes left. Highly recommended! I’ve done 15 escape rooms with a few different companies and Trap Door has been my favorite without a doubt! These rooms are fully immersive. Even down to the way they administer the clues! Trap Door takes escape rooms to the next level with intensity, creativity, and passion. The employees are great and do a fantastic job at setting the scene and getting you to push yourself. (Plus occasionally scaring you out of your socks. I’m looking at you Witch Hunt game master). So much fun! Haven't stopped telling everyone about what a good time we had!